Aikido Warrior Dojo will be hosting a special class on Saturday 17 May 2014 (2.30 pm – 5.00pm) by Peter Kelly Sensei. Peter Sensei has recently been appointed by Master Koretoshi Maruyama as the technical advisor for Aikido Yuishinkai in Australia. 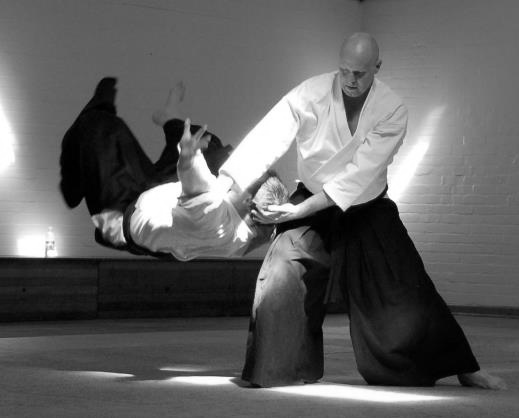 Peter Sensei is also the Chief Instructor of The Aikido School of Excellence in Tasmania. Peter Sensei will be covering a range of principles and techniques relevant to Aikido Yushinkai, with particular emphasis on those relevant to the new syllabus and our school’s revised direction. The cost of the class is $10 and all Aikido Yuishinkai practitioners are welcome to attend. For persons who have not trained at Aikido Warrior Dojo previously, please arrive 30 minutes before the class commences for registration. Address details for the dojo may be found on our home page (see here).